Athletics Association of Malawi (AAM) has warned athletes who are currently camping for various international competitions to improve their finishing times or risk being dropped. About 22 athletes started camping in Lilongwe on Sunday ahead of the competitions including the World Cross Country Championships set for Denmark on March 30. AAM General Secretary, Frank Chitembeya, said the essence of the camp training session is to help athletes improve their performance. 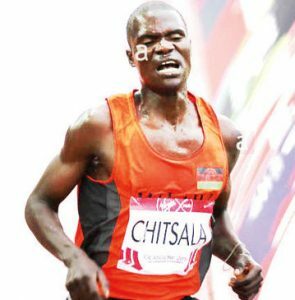 Chitembeya said the association wants its athletes to be qualifying for Olympic and Commonwealth games rather than participating on solidarity. “This is why we will be dropping athletes who will fail to improve. We want our athletes to aim at breaking national records and also qualify for major world events,” he said. Chitembeya said they used part of the support they got from International Association of Athletics Federations to kick-start the camping. “We are calling on well-wishers to come forward and assist us so that the athletes should not break the camp,” he said. One of the athletes, Kefasi Kasiteni, said with good conditions, it was possible to break records and qualify for major international races. “What we need is support. Malawi has good athletes and we can do well if we are supported in various areas of need,” Kasiteni said.